At least 20 civilians – including five children – have been reportedly killed in the past 36 hours in Idlib, Aleppo and Hama governorates, as a fresh wave of attacks has hit the north-western parts of the country. The deadliest attack took place on Thursday in Kafranbel in southern Idlib, on what is usually a busy market day in the town. At least 12 civilians, including three women and five children, were killed according to the Syria Observatory for Human Rights, the local civil defence as well as other on-the-ground sources. At least 25 others were injured and many of them remain in critical condition, Islamic Relief’s operating partners on the ground said. The fear of fresh attacks on civilians and civilian infrastructure has since forced Friday prayers to be cancelled in mosques in Kafranbel, Islamic Relief staff said today. Civil defence teams have also placed warning signs around the remaining unexploded ammunitions but are still waiting for specialist support to remove these. In Kafranbel, the local civil defence forces have reported that cluster ammunition was used in this attack, blaming this for the high casualty count. These kinds of weapons are banned under international law. Islamic Relief has sent urgent lifesaving medical supplies for the patients who needed operations, but the whole Idlib region is suffering from widespread shortages of medical supplies and staff, with not enough doctors to assist the wounded. “The attacks in Kafranbel, killing women and children on a busy market day, show a callous disregard for human life and international law. These brutal killings must stop. “This escalation of attacks has sent a shockwave of panic and fear among the people of Idlib who worry that attacks could resume on a massive scale at any point and simply see no end in sight. According to the UN, 90 civilians were killed in Idlib in March alone this year and more than 86,000 people were displaced in Idlib as a result of escalating violence in February and March. Thursday’s attack on the market, happened exactly two years after dozens of people, including many children, were killed in a chemical attack on the nearby village of Khan Shaykhun. “Many people in Idlib had friends and relatives who were killed or injured and news of every new attack simply brings back the horrors that families have repeatedly endured throughout more than eight years of constant crisis and violence,” Mahmoud added. * Islamic Relief is one of the largest aid providers in Syria (and to refugees in Iraq, Jordan, Lebanon and Turkey) and continues to operate directly on the ground in Idlib. * By the latest estimates, 6.2 million Syrians are living in protracted displacement in the country and 5.7 million have fled as refugees. 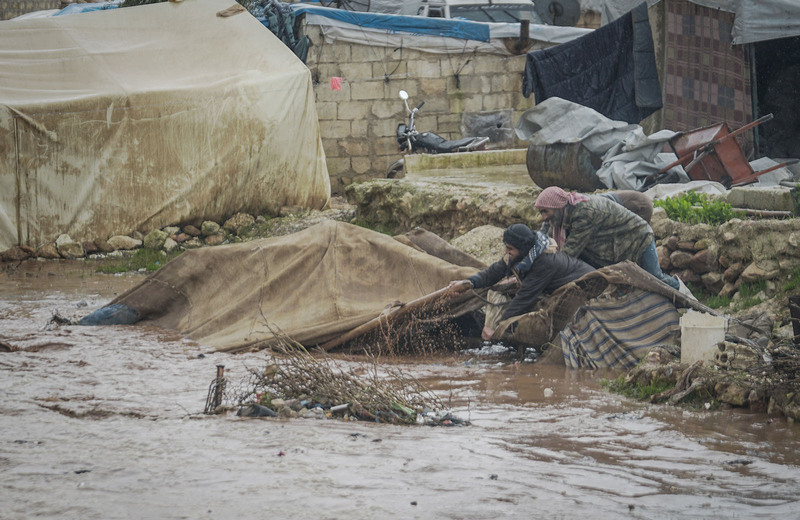 Of the 6.2m displaced, 1.5 million, are in Idlib and surrounding areas. * In 2018, we assisted almost 2.5m people across Syria with a range of services from health and education, to food and livelihood support.